Bronzers offer a safer alternative to tanning beds. 1 Can You Wear Contacts While Tanning? Bronzers or self-tanning lotions can offer a deepening of skin color similar to a tan and provide a viable alternative to tanning beds. Turbo tanning beds are not a safe choice for achieving that desirable sunny glow, according to dermatologist Lawrence Gibson of the Mayo Clinic. Both the sun and tanning beds emit ultraviolet rays, known as UV rays, which can contribute to certain kinds of cancers and premature aging. Turbo tanning beds offer even more UV light than regular tanning beds, in a shorter period of time. While it's fairly common to think that turbo tanning beds offer a safer way to tan, it is advisable to avoid tanning lamps and beds altogether, and instead opt for a bronzer, spray tan or airbrush tan. The adverse affects of tanning beds appear to increase with the amount of use. The University of Iowa Health Care service reports that people 35 and under who used tanning beds on a regular basis had an eight times higher risk of developing melanoma. Additionally, people who were occasional users of tanning beds or lamps nearly tripled their chances of developing melanoma. More troubling news for tanning bed users: information cited by the University of Iowa Health Care service states that people who use them will have 2.5 times more risk of developing squamous cell carcinoma and will be 1.5 times more likely to suffer from basal cell carcinoma. 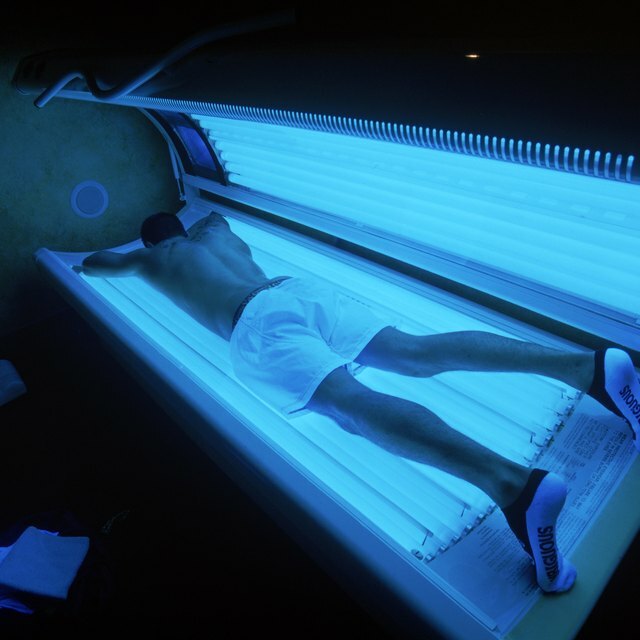 According to CBS News Health, experts say more restrictions are needed to protect the public from the cancer risks of tanning beds, turbo tanning beds and sunlamps--especially for younger people. An FDA advisory panel pushed for more limitations around their use in 2010. Bronzers have a bad reputation for making people look “orange” instead of sun-kissed. However, bronzers have come a long way, and it is now possible to buy bronzing products that allow you to slowly build your tan so it looks more natural. This is also helpful because you can control how deep of a shade you want, and stop at the desired result. According to the FDA, bronzers and self-tanning creams are approved and safe for external use. However the agency warns that these types of products should not be inhaled. It is also advisable to avoid the delicate eye and lip areas when applying bronzers. Although the FDA has received complaints of rashes, coughing and dizziness regarding bronzers and similar products, these complaints have been rare, and it is currently uncertain whether or not these products were at fault. At this time, the FDA points to bronzers as a much safer option than turbo tanning beds. MayoClinic.com: Are Tanning Beds Safer than Natural Sunlight? How Do Tanning Beds Affect Eyes? How Much Do Tanning Beds Cost to Run?